Spend your days lounging on the beach or soothe your muscles in the warmth of the hot tub. You won’t find a better family vacation location than this small beach community atmosphere with the family fun of the Tampa Bay and St. Petersburg areas nearby. Island Gulf is located directly on the beach overlooking the Gulf of Mexico and white sandy beach. 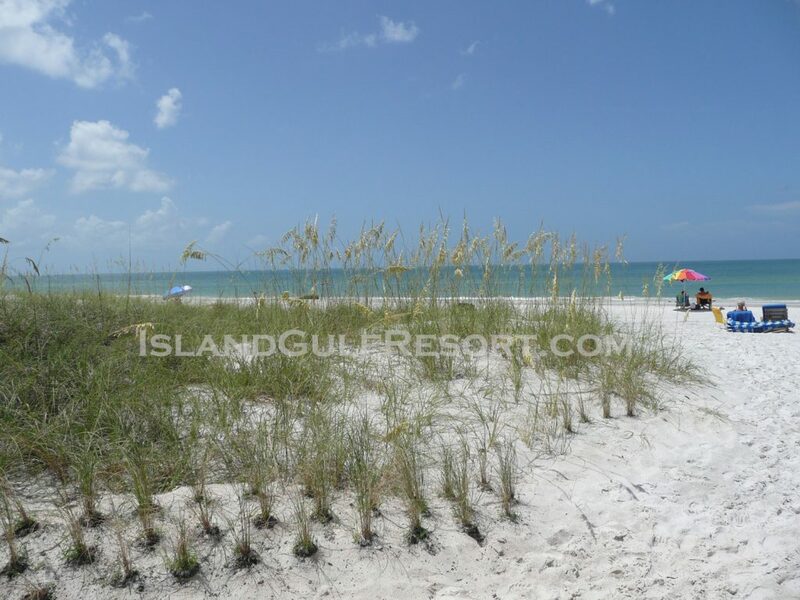 Island Gulf Resort is an interval ownership resort featuring 1 and 2 bedroom gulf view condos. Our condos feature full kitchens and all of the comforts of home. Timeshare ownership is available at Island Gulf Resort, as well as nightly and weekly rentals. Island Gulf is an RCI and Interval International affiliated resort. Island Gulf Resort is located in Madeira Beach, just 1 mile north of Famous John’s Pass Village, where there are many restaurants and boardwalk shops. You will also find deep sea fishing, casino boats, parasailing and jet ski rentals. In addition, the local attractions include Busch Gardens, Adventure Island, Lowry Park Zoo and the Tampa Bay Aquarium. Orlando is only a day trip away for even more excitement. For local transportation, use the Beach Trolley, an inexpensive fun way to see the gulf beaches, including St Pete Beach, Clearwater Beach and Treasure Island. Stop by the front desk for a trolley map, and brochures for everything our area has to offer.